Happy Saturday to you! It's Rhonda here today to host the blog for you. I have a project featuring the February Club Q kits and one of our all new PowderPuff Chalk Ink colors, Warm Sand to share with you today. For this project, the base is a chipboard 12x12 sheet that comes in the kits. I used the envelope pocket here as a focal point for my page. I love that it can be used to hold your private thoughts and journaling. Once I had my layers determined, I stamped some textures in a variety of PowderPuff Chalking Inks, Midnight Confessions, Java and Mocha Mama. 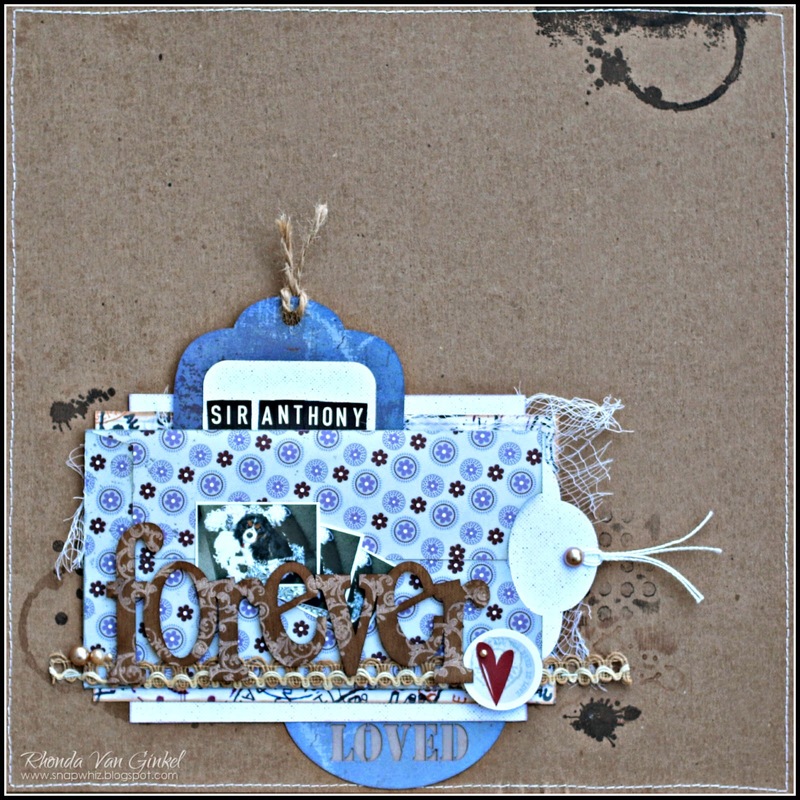 The "Forever" chipboard sentiment was inked with Java, then I stamped some filigree pattern on it using our new Warm Sand PowderPuff Chalk Ink. I thought it added a bit of a softness. The trim included in the kits has such a great texture, I layered it under my sentiment before adhering it with foam dimensional squares. Thanks so much for stopping on over to the blog today! Have a super weekend!!! Love all the layering and the title over the pictures is a great idea!